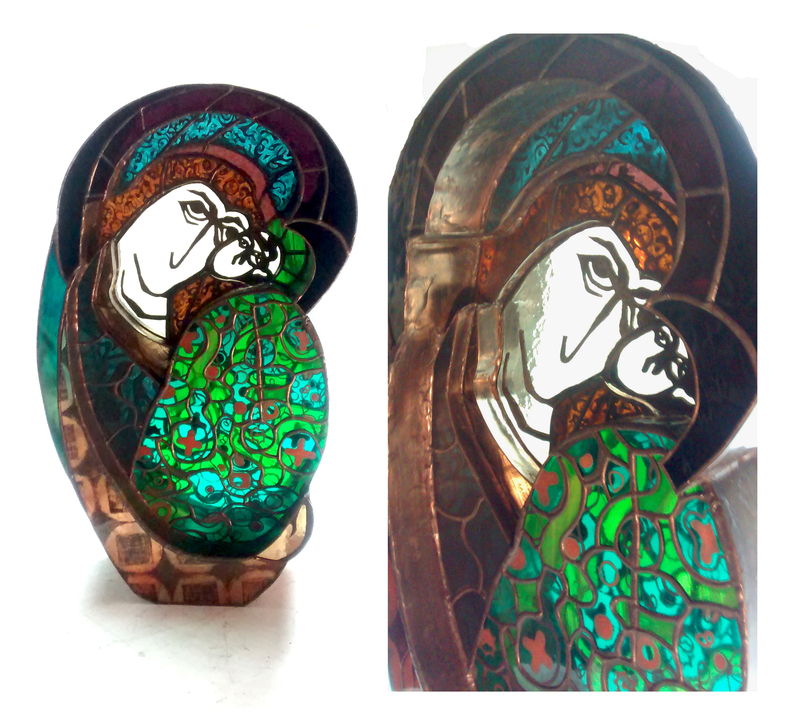 3D STAINED GLASS PROJECT : MADONNA – Talva Design Talva D.
This artistic project is committed to exploring the volume in stained glass. This volumetric research associates different materials and techniques. Four pieces have been completed to date. The sculpture presented here “Madonna”, continues to push the limits of the traditional stained glass technique to create a three-dimensional work and deepens the theme of maternity long sought. This research started as an iconographic exercise on the collective consciousness around maternity and was inspired by multiple references, in particular German expressionism, Russian orthodoxy, Japanese art and other. I have personalized this sublimation of motherhood with my story, without however breaking the aesthetic side of icons. These drawings, by their structure in ink, lend themselves well to a stained glass adaptation, the ink translating intuitively into welding. In this context I started the sculpture “Madonna”. This research has been the subject of several exhibitions: an exhibition at the Biennale de design in Saint-Etienne; an exhibition at the Biennale of sculpture, Madeleine Church in Paris; an edition of a series of decorative strips; a publication, exhibition and edition of the winning project of a competition of the city of Paris “the garden of Tal”; and an exhibition of a series of autobiographical drawings; the last exhibition “Mère Femme” of the 3D Vitrail series was exhibited at the Salon d’Automne 2016. 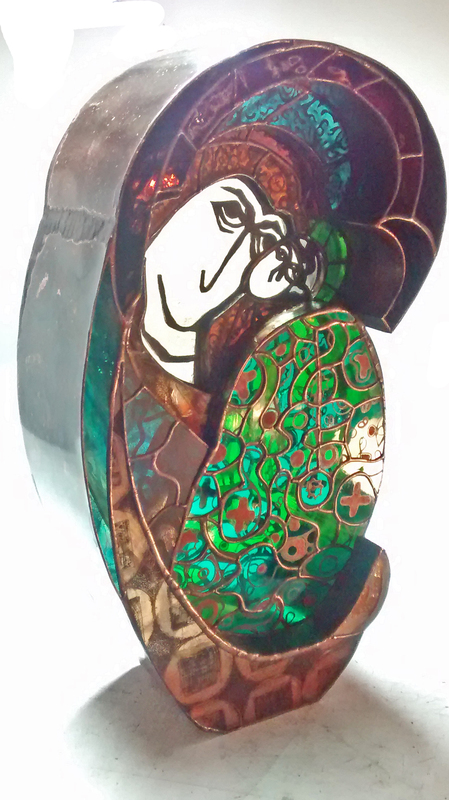 Technique: drawing in mixed media on paper, paper model for stained glass, three-dimensional models in earth and cardboard and computer, solder parts glass and copper leaves, drawings on glass.